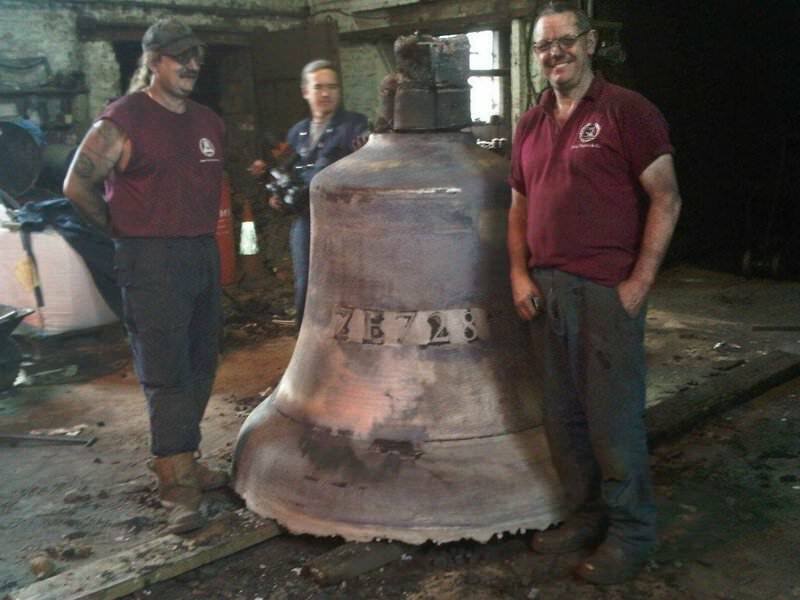 Although most of our work involves the casting of church bells, we are pleased to be able to offer specialist founding skills to customers worldwide. 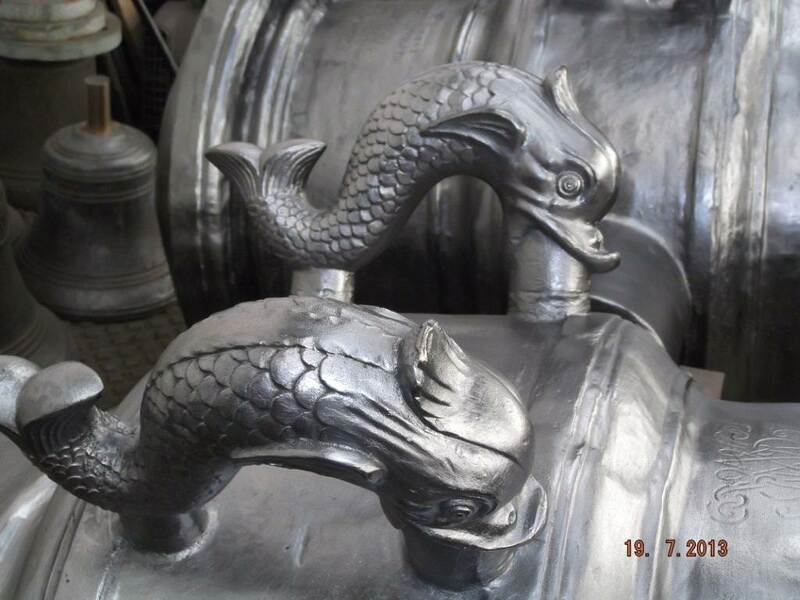 From replica canons from Henry VIII's Mary Rose Tudor Warship, to artists' commissions, we have a long history of casting in most metals. Why not ask for a free quotation for your project - we'll be pleased to oblige. 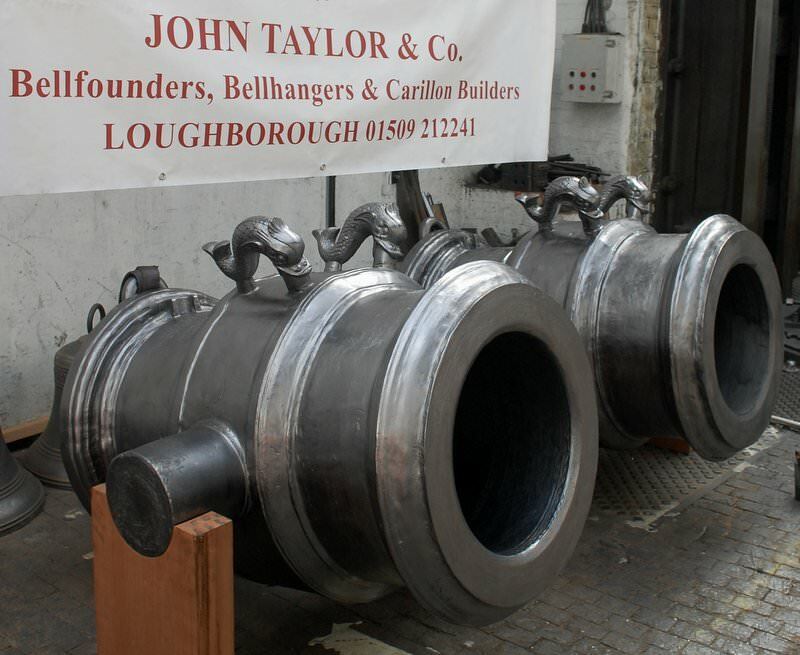 We have just completed the casting of two large bronze mortar canons, each weighing more than three and a half tons, for a private American client. The original Namur Mortar Canon is housed in The Tower of London, and exact details of it were taken before bespoke moulds were constructed in our foundry. The pouring of the bronze into each of the canon moulds took more than 45 minutes, and the finished canons have now been shipped to the USA. Dolphin lifting handles cast as part of the Namur Mortar canons. 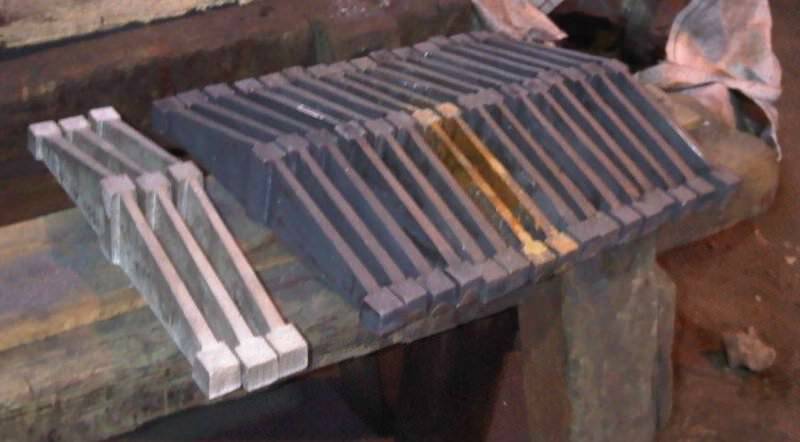 Individual components for steam engines are often requested, together with regular replacement fire bars for the fire boxes. 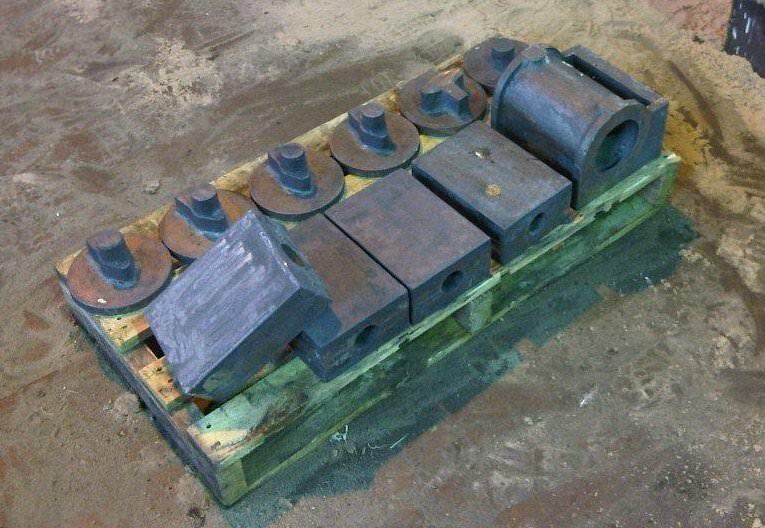 All such one off components can be manufactured in our Foundry. Fire grate bars need regularly replacing. Other individual components need casting less frequently. Artists often commission castings to be undertaken and we are pleased to be able to oblige. In this case the aluminium casing from an F16 Fighter Jet was melted and cast into a bell - something of peace from something of war. Newly cast and straight from the mould before cleaning and fettling Taylor's first aluminium bell. Inscribed on the bell is "ZE 728" - the jet fighter's identification number! Specialist castings are undertaken as required. 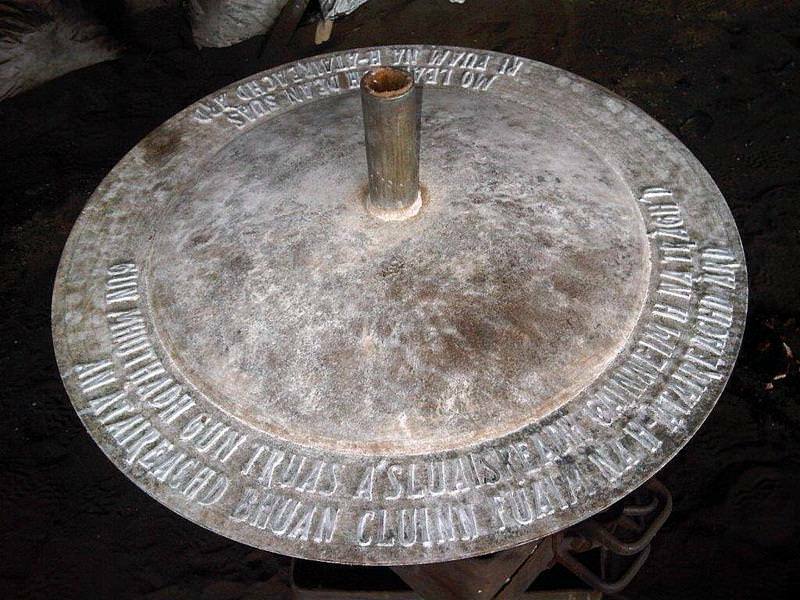 A bronze dish straight from the mould before it is cleaned up commissioned by the artist Marcus Vigette.